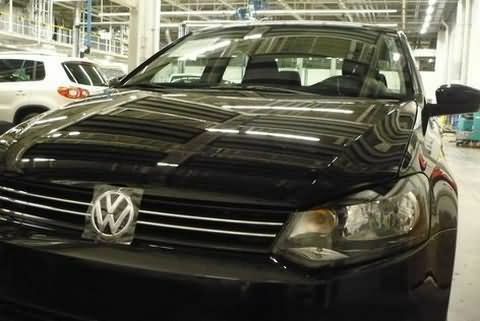 Volkswagen Vento is a new model Sedan, which would be launched very shortly in India by Volkswagen Group. It has been designed specially for the Indian market and has been tailored for Indian consumers. The company will produce this car at Volkswagen’s new factory at Chakan near Pune. The company is expected to sell around 25000 units every year. Volkswagen Vento is expected to be on roads in the later half of 2010. Appearance: Volkswagen Vento is expected to be available in six different shades – Candy White, Flash Red, Pepper Grey, Glacier Blue, Silver and Deep Black. The car is adorned with sleek exteriors. The body colored bumpers and alloy wheels provide an elegant look to the car. Comfort: Volkswagen will have a seating capacity of five persons. The car is ultra spacious with sufficient legroom. The car is fitted with AC with automatic climate control, power windows, tachometer, Remote central locking, Remote boots, Remote Fuel Filler, Rear Defogger, Rear Armrest, both side electric door mirror and folding rear seats. The car is fitted with hi-tech Dash integrated MP3 player and Buttons/ Controls on Steering. Safety: Volkswagen Vento has various safety features. It has two safety airbags, parking sensors, Fog Lamps, Antilock Braking System (ABS) with Electronic Brake force Distribution (EBD). Engine: Volkswagen Vento is expected to be available in both petrol and diesel engine. Both the engines are expected to be packed with 1.6 liter, DOHC inline type engine. The car would be packed with 5 speed manual transmission gearbox. The highly powerful engine of Volkswagen Vento will produce a power of 105 bhp and a thumping torque of 25.5 kgm for diesel engine and 15.8 kgm for petrol engine. Price: The price of the car is expected to be Rs.8,00,000 (taking Mumbai as base price location). However, the price specified is approximate price which exclude tax, registration, insurance and cost of accessories.